Nearly six years into blogging and publishing a new recipe still gives me the tingles. I imagine it zooming through the cosmos to your screen, and then eagerly await the moment when I’ll hear from you in a comment that you tried it, see you tag me in your Instagram story with a photo as you make it, or read in an email that even your astronomically picky toddler loved it. Because you see, I just love that recipe so much that I KNOW it’s going to be the Next Big Thing since avocado toast. The reality is that only a very small fraction of the recipes I post ever “go viral,” and I’m OK with that. Sometimes, however, I am really REALLY excited about a recipe that never takes off. Maybe it’s extra super delicious or extra super easy or extra super healthy without tasting that way one bit. Yesterday, I shared a list of YOUR Top 11 Recipes of 2017—the ones that did receive attention—and today I’m following up with 11 of my top picks. I had a very hard time narrowing down this list; I do truly love and stand behind every recipe I post. 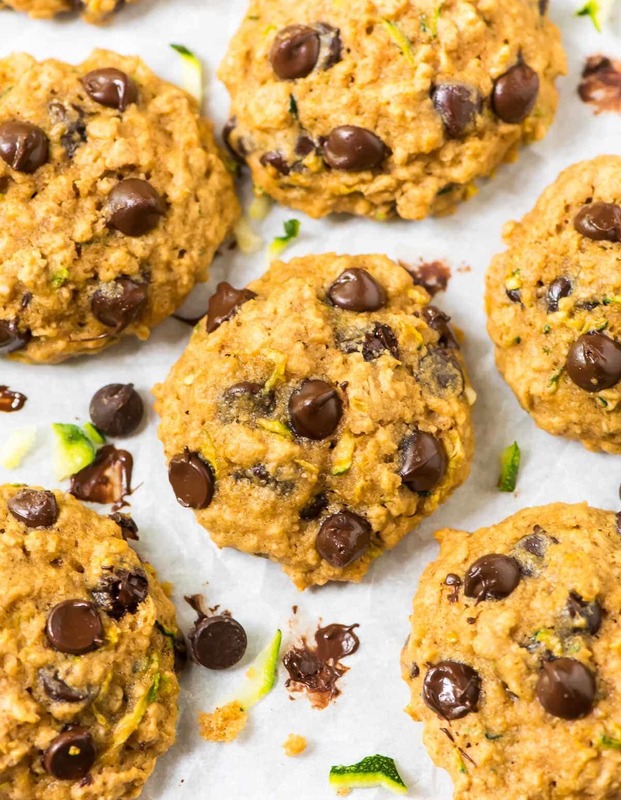 To set some criteria, I decided to focus on recipes that are reasonable for weeknight dinner (or in some cases, a healthy breakfast or dessert treat), that I found myself making over and over, and that my friends gave extra star ratings as well. I also tried to make the recipes a good mix between classics such as One Pot Chicken Stroganoff and the more creative (General Tso’s Tofu, I heart you!). As 2017 comes to a close, I want to say THANK YOU. As I scrolled through this year of recipes to make this list, I was struck by an overwhelming sense of awe and gratitude. Preparing and sharing food with others brings me more joy than just about anything else in life. To be able to do that here with you and to have that be my JOB is truly a dream come true. Thank you for being here. Thank you for trying my recipes and for sharing them with others. Ben’s favorite recipe from the blog this year and my go-to freezer meal to bring to new moms. NO ONE believes me when I tell them it’s only 335 calories for a giant serving. I like to make a double batch of the filling so that we have one for now and one for later. I was horrifically torn between including this recipe or Paneer Tikka Masala in this list (can I convince you to try them both?). I’m a sucker for at-home makeovers of takeout classics, and this one absolutely nails it. 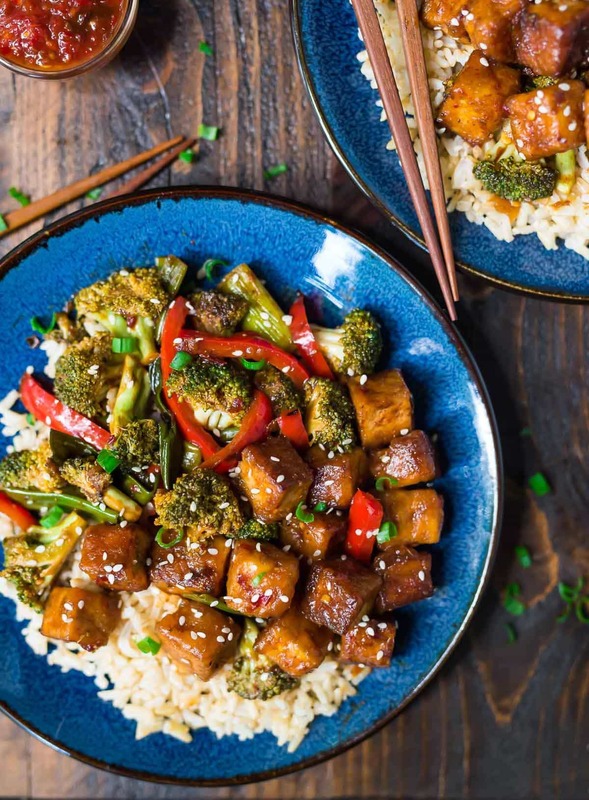 Even if you haven’t tried tofu or you have and didn’t like it, I am begging you to give it a chance here. The tofu is so (forgive me) meaty and crispy and the sauce so sweet and tangy, I know you are going to be a ‘fu fan after your first bite. I am a sucker for stuffing vegetables because they give me the naughty stuff (ahem, BACON and CHEESE) in a healthy way that leaves me feeling totally satisfied and knocks out a full serving of my daily veg. This particular combo reminds me of a chicken-bacon-ranch sandwich. I almost forgot I was eating squash! See also: Taco Spaghetti Squash Boats. I give away most of the cookies I bake. Not these. I saved every last one of these chewy, chocolaty morsels for myself. They’re well behaved enough for breakfast but sweet enough for dessert. 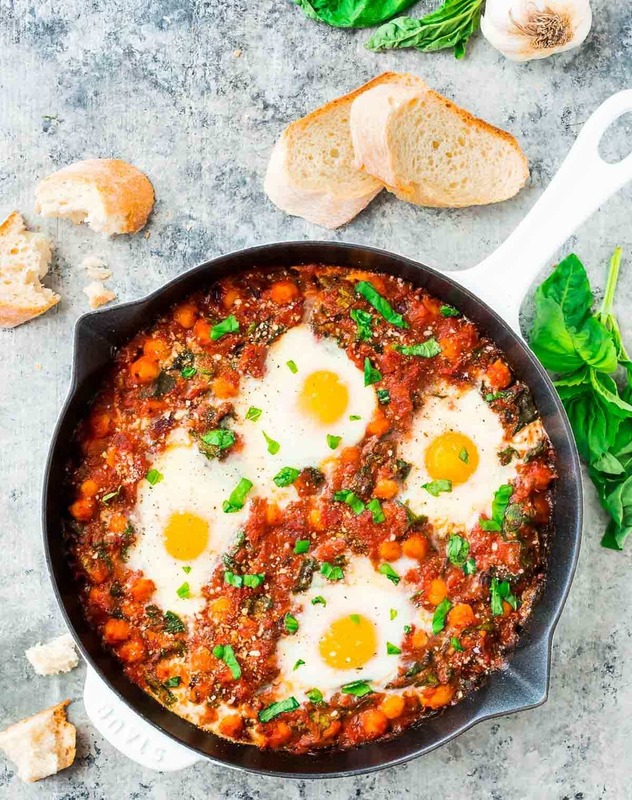 Eggs simmered in a richly aromatic tomato sauce with chickpeas, basil, and Parm, this Italian twist on the Middle Eastern classic shakshuka is my answer to what’s for brunch/dinner/will make me feel like I spent hours cooking instead of 30 minutes. Keep lots of crusty bread on the side for dipping and serve this one right from the skillet. This recipe is so light, bright, and zippy, I danced around the kitchen as I ate it. 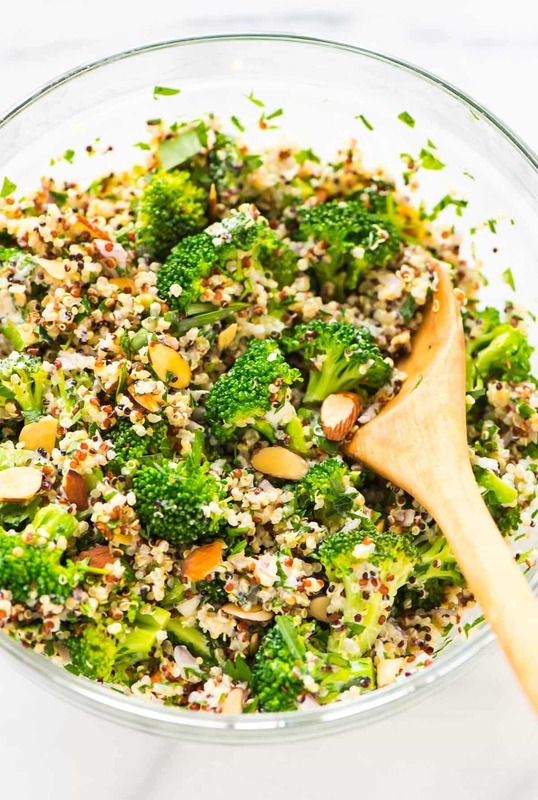 It’s ideal for meal prep because it can last several days in the refrigerator, and it’s also a stellar option for potlucks, as it tastes great at room temperature too. 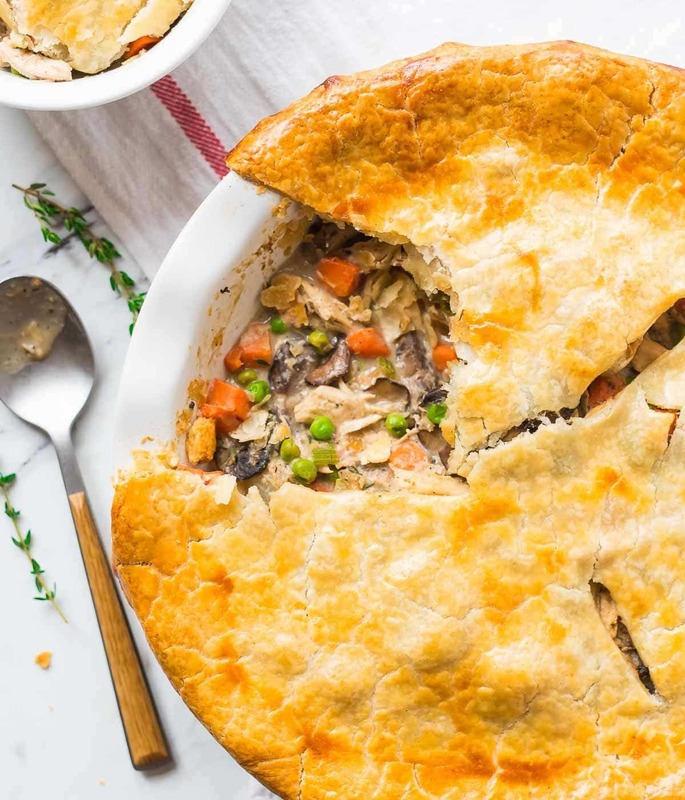 Not going to lie—I was not expecting to fall head over heels for this recipe. Even the word stroganoff gave me bad Hamburger Helper flashbacks. 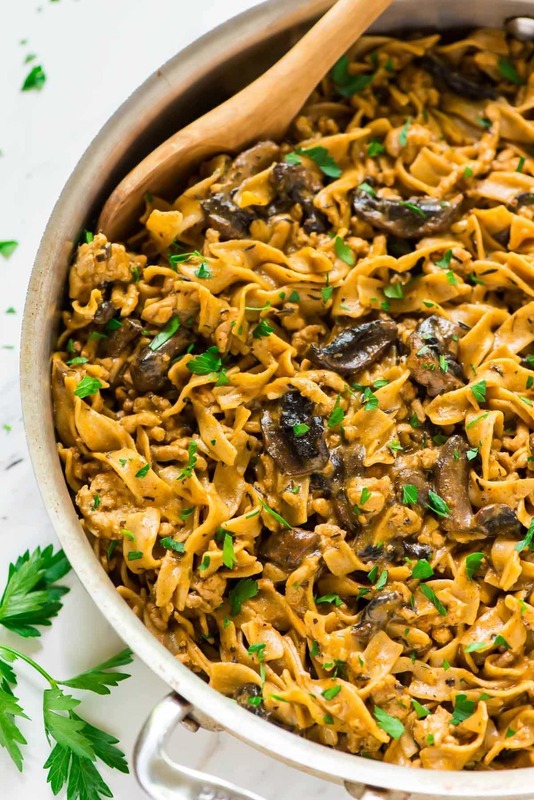 THIS stroganoff, however? HOLD THE PHONE. I ate my serving directly out of the pan because I was in too much of a rush to devour it to fuss with a plate. Even better? The whole recipe cooks in ONE pan and is ready in 30 minutes. Add this one to your weeknight rotation. 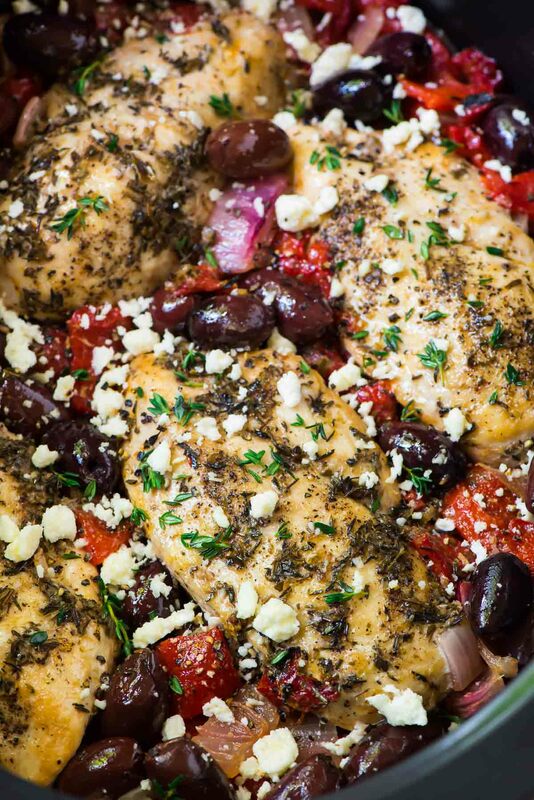 If you don’t think a 5’4” female can devour a six-quart slow cooker’s worth of dinner, you haven’t tried this Slow Cooker Greek Chicken yet. To be fair, I didn’t take it down in one sitting, but after loving it for dinner, I used the leftovers to make a stellar spread of salads over the next several days. Its bright Mediterranean flavors make it a total crowd pleaser, and the quick and easy dressing poured over the top keeps the chicken ultra moist. The first mashed potatoes I ever truly loved and the only ones I will make from here on out. No Instant Pot? You can make them on your stovetop too! 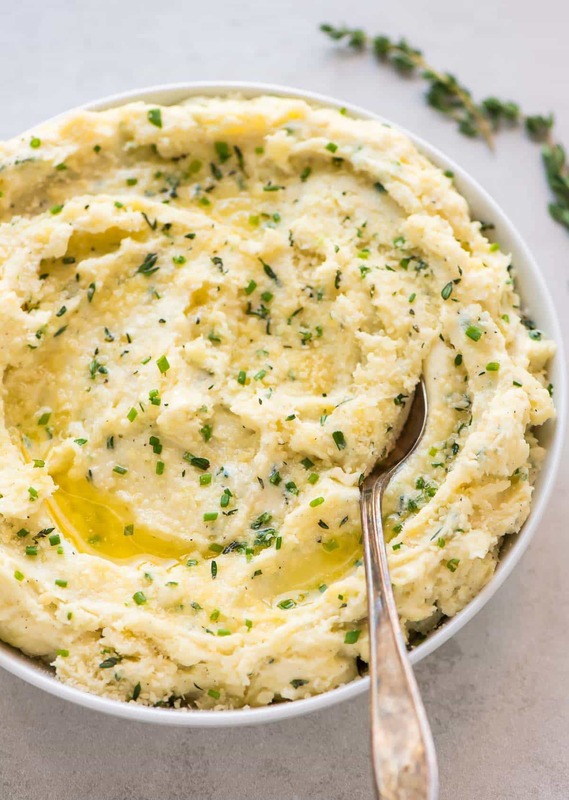 Greek yogurt is my secret to making these spuds taste ultra rich, creamy, and holiday-worthy, but they are healthy enough for a weeknight side dish too. Using canned pumpkin as a base for soup completely changed my quick weeknight meal game this fall. 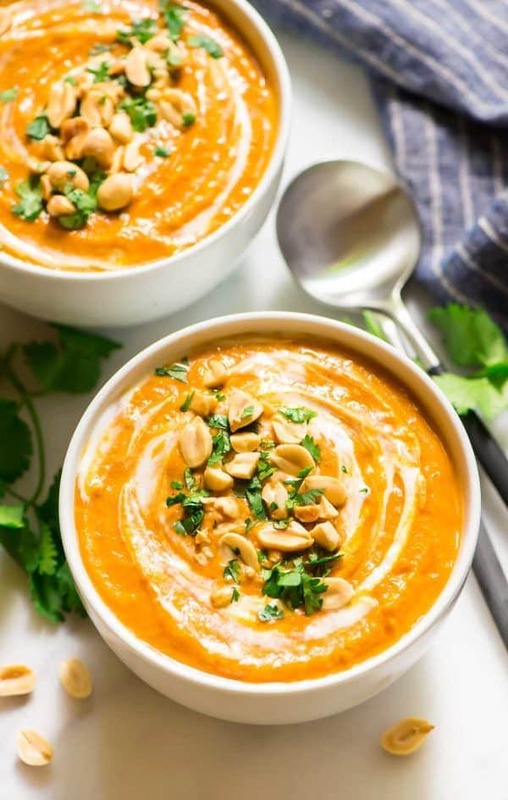 This soup is laced with beautiful, vibrant flavors, and I looked forward to lunch every day that it was in our refrigerator. And because I couldn’t help but include just one more…. Never had I ever had a dessert made from such nice ingredients that tastes so naughty. 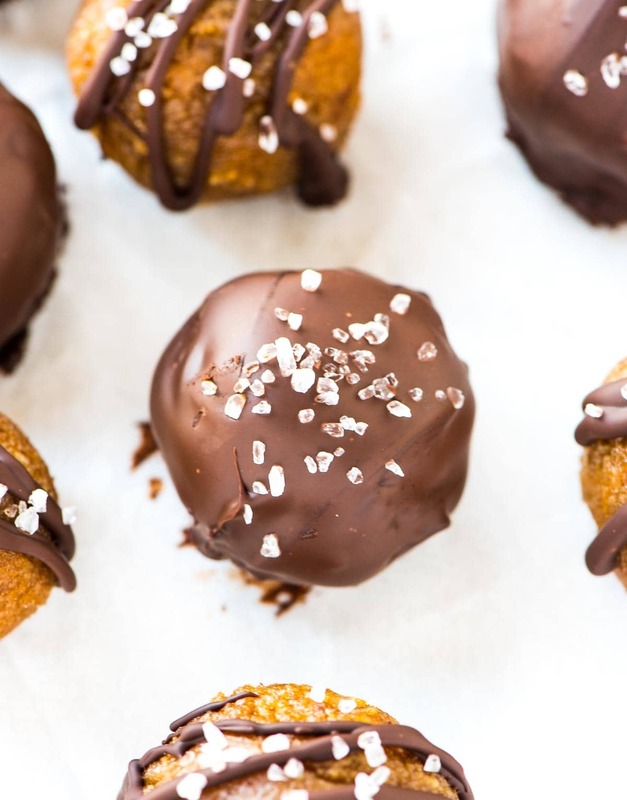 These treats are completely raw/vegan, naturally sweetened, and taste like caramels, but they are made with dates and cashews instead of sugar and heavy cream. My book club DEVOURED them, and I suspect you will too. As I said, I had a super hard time choosing this list! While these 11 recipes stood out to me, it was hard to choose! You can always find more ideas in my Recipe Index. Be sure to check out yesterday’s list of Your Favorite Recipes of 2017 too. What an awesome list! 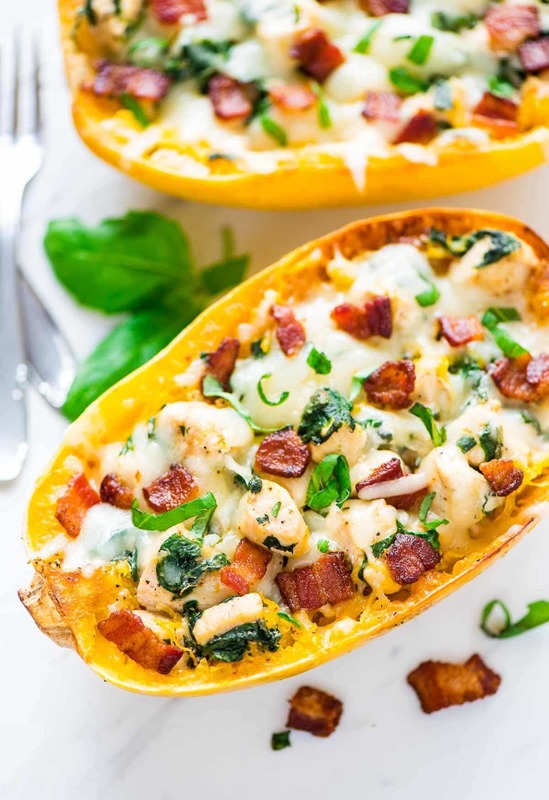 I made the spaghetti squash boats with chicken and bacon, and we loved them. Looking forward to more Wellplated recipes in 2018! Thanks, Kori! I’m so glad to hear you enjoyed the squash boats! Hi Barbara, thank you for your kind words! I’m glad to hear you enjoy my blog and recipes, and I truly appreciate this nice comment. I hope you have a great day too! Terry, this makes my day. Thank YOU for being a reader of my blog!! I prefer chicken so I love all chicken recipes. For this year, I like your Crock Pot Mexican Casserole recipe because it complete nutrition with spicy flavor. That was my #1 most popular recipe of the year! You are in good company :) Thanks so much for chiming in! Barbara mentioned that you did sound a bit down. I thought the same thing also. I chuckled at her comment of “think of us as your kids”. So with that said . . . I don’t like squash (unless it’s zucchini ) and I don’t think I like tofu but . . . 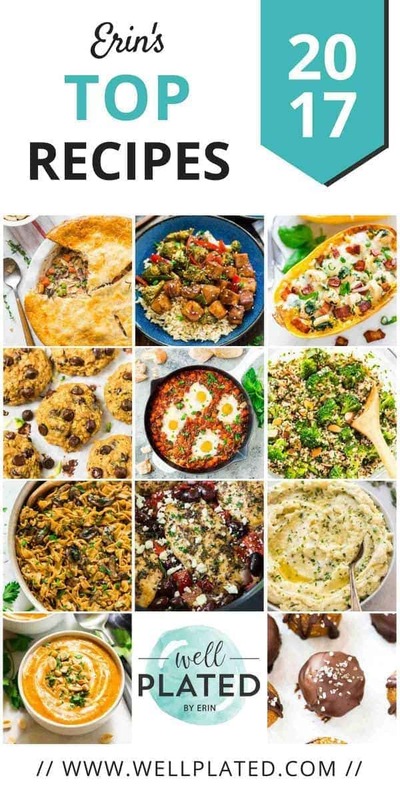 I really think I should take your advise and try all of these recipes. Got any ideas what to pair the pumpkin curry soup with? My husband is not big on soup being the main course. Your thoughts would be appreciated. Hi Melanie, thanks so much for your kind note! I didn’t meant my tone to come across that way. I am very excited about these recipes and so appreciate every one that people try too. For a main, since the soup has a lot of flavor, you might try it with grilled or seared chicken or fish. This satay chicken wold be really yummy with it too: https://www.wellplated.com/satay-chicken-peanut-dipping-sauce/. I love chicken recipe most. Because it is delicious and less harmful! Your recipes are delicious. I am gonna try all of them! Thank you so much Elena! I hope you love all of them!